A Downing Street spokesperson has said the Prime Minister and Irish Premier have agreed the backstop should “only be a temporary arrangement”, but Leo Varadkar said he would not accept a Brexit deal which gives the UK unilateral power to halt the backstop. The spokesperson said: “The Prime Minister spoke to the Taoiseach this morning to take stock of the progress being made in the negotiations, including on the Northern Ireland backstop. In a constructive conversation, the Prime Minister and the Taoiseach discussed the remaining issues. “They agreed that the intention was that the backstop should only be a temporary arrangement and that the best solution to the Northern Ireland border would be found by agreeing a future relationship between the UK and the EU. “In order to ensure that the backstop, if ever needed, would be temporary, the Prime Minister said that there would need to be a mechanism through which the backstop could be brought to an end. In a phone conversation with the Taoiseach, Mrs May said that any agreement would have to include a mechanism to bring an end to the backstop, which is designed to ensure there is no hard border in Ireland if the UK and EU fail to reach a trade deal. Mr Varadkar’s spokesman said the Irish Premier said he was ready to consider proposals for such a mechanism, but only if the arrangement could not be removed by one side acting alone. This comes as it is reported the Prime Minister is close to making a deal with the EU, which would allow for the creation of a whole-UK customs union after Brexit. This proposal has been criticised by Brexiteers including former Foreign Secretary Boris Johnson, who described the plans as “an absolute stinker”. 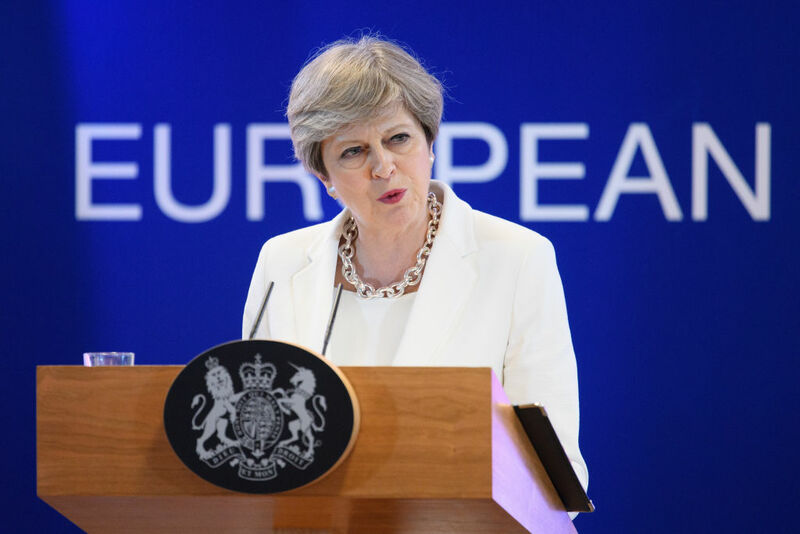 The European Commission also dismissed reports over the weekend that a Brexit deal had been privately agreed after major concessions from Brussels. Insisting that negotiations are "ongoing" at a technical level, the Commission's chief spokesman summed up progress by telling reporters: "Not there yet."